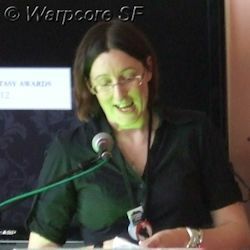 Lou Morgan is a British author who writes urban fantasy, horror, and young adult fantasy. She writes contemporary young adult novels under the name Maggie Harcourt. Lou Morgan was at the annual convention of the BFS at Brighton in 2012. John Constantine loses his memory in this contemporary occult graphic novel.